Mackafee is a two-way star for the Panthers, having become one of South Jersey’s top strikeout pitchers and batting for an average well above .500. 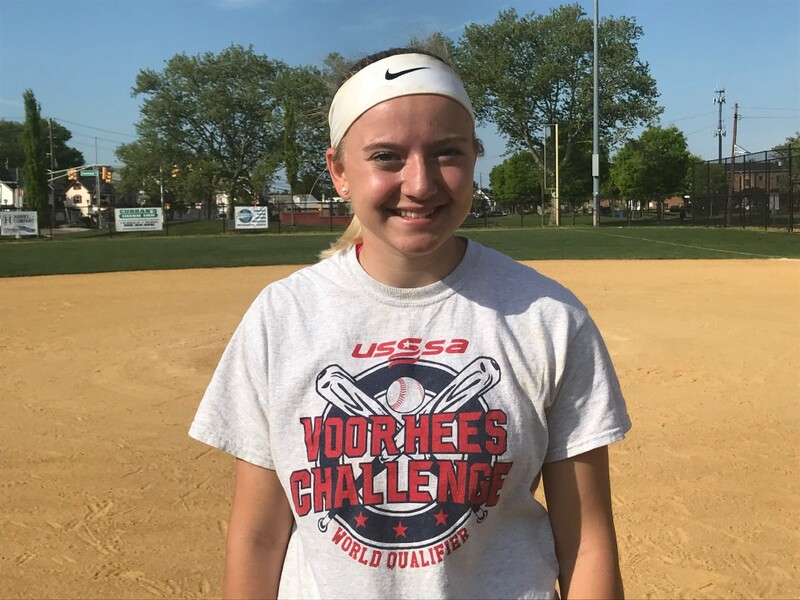 Last year, Palmyra High School softball player Julianna Mackafee took South Jersey by storm as a freshman when she posted a .595 batting average. This season, Mackafee has found a way to be even more valuable to the Panthers. In addition to continuing to hit for a high average, Mackafee has developed into one of the top strikeout pitchers in South Jersey. Entering Palmyra’s game last Thursday against Burlington County Institute of Technology, Mackafee had struck out 142 hitters in just 94 innings. Only Izzy Kelly of Bishop Eustace Preparatory School and Brianna Fritz of Riverside High School have more strikeouts in South Jersey this season. Mackafee brought a ton of experience to the Panthers when she joined the team as a freshman. Mackafee had played softball since she was 7 and also had club experience having played with the Moorestown Magic. Mackafee split her time in 2017 between shortstop and pitcher. Her biggest contributions came at the plate, where she hit for a .595 average, recorded 39 runs batted in, and hit 10 doubles and 11 triples. Mackafee split pitching duties last year with senior Hannah Lloren. This year, Mackafee has taken over the primary pitcher role and has thrown in all but a handful of games for the Panthers. There’s a marked difference between Mackafee’s pitching last year and this year. Mackafee has increased her strikeout rate from 6.9 strikeouts per seven innings last year to 10.6 this year. She has also allowed just 61 hits in 94 innings this year compared to 62 hits in 56 innings last year. Mackafee credits working with a pitching coach in the offseason and improved command of her curveball and drop pitch for her success. Miller said Mackafee’s curveball is extremely hard to hit on her best days and also believes her fastball has improved from last year. At the plate, Mackafee’s batting average had dropped a bit, but she’s still one of the team’s top two hitters with a .562 average. Mackafee has drawn more walks than last season and Miller said she’s had to work harder at the plate this year as opponents try to pitch around her. With 83 career hits, Mackafee is already closing in on the 100 hit milestone as a sophomore. Reaching triple digits is something she wanted to achieve in her high school career. Mackafee has helped lead a young but talented Palmyra team to a winning season and a home playoff game in the first round of the South Jersey Group I tournament. Though the team features a number of freshmen and sophomores with little playoff experience on the roster, Mackafee believes the team is capable of surprising opponents and making a deep run in the postseason.